Tonya Williams was born in Greenville, North Carolina. She is a graduate of the University of North Carolina at Chapel Hill (BA ’95) and the University of North Carolina School of Law (JD ’99). While in law school, Tonya developed an interest in international affairs. During the summer of 1997, she studied International Human Rights and Comparative Law in Rome, Italy, and following graduation, she spent a year traveling the world. Upon her return, Tonya worked with NC Legal Services before taking a judicial clerkship with the Honorable Loretta C. Biggs at the North Carolina Court of Appeals. Following her clerkship, she served as General Counsel to Senator Marc Basnight, President Pro Tempore of the North Carolina Senate. After five years with at the General Assembly, Tonya joined the executive management team at GlaxoSmithKline, as Director of IP Policy for North and South America. In 2008, she returned to public service and moved to Washington, DC where she worked as Chief of Staff for Congressman G.K. Butterfield at the U.S. House of Representatives until 2011 when she took a position at the White House serving as Director of Legislative Affairs for Vice President Joe Biden. 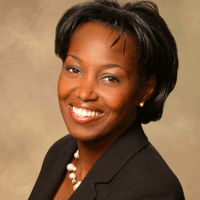 Most recently, Tonya served as Vice President for Policy, Communications and Knowledge Analytics for the W.K. Kellogg Foundation.